Turns out juvenile sand tiger sharks cut their (many) teeth in the New York area. Scientists and veterinarians working for WCS's New York Aquarium have discovered a nursery ground for the fearsome-looking but non-aggressive fish in the near shore waters of Long Island's Great South Bay. 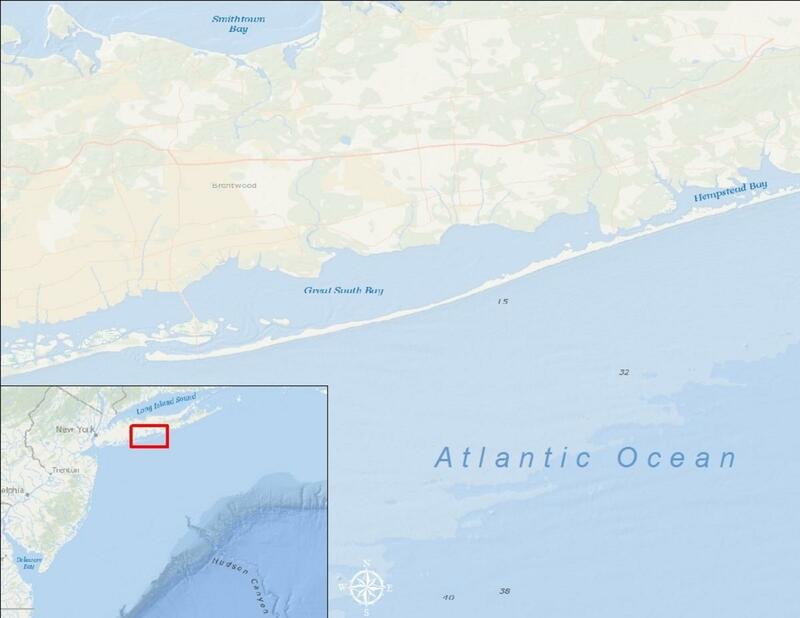 "Sand tiger shark pups are not born here but migrate from down south to spend the summers as juveniles in New York's coastal waters," said Dr. Merry Camhi, Director of the NY Seascape program, WCS's local marine conservation program. The Great South Bay shark nursery provides juvenile sand tiger sharks ranging from several months to five years in age with a place to feed and grow. A nursery also gives juvenile sharks protection from predators, including other sharks. 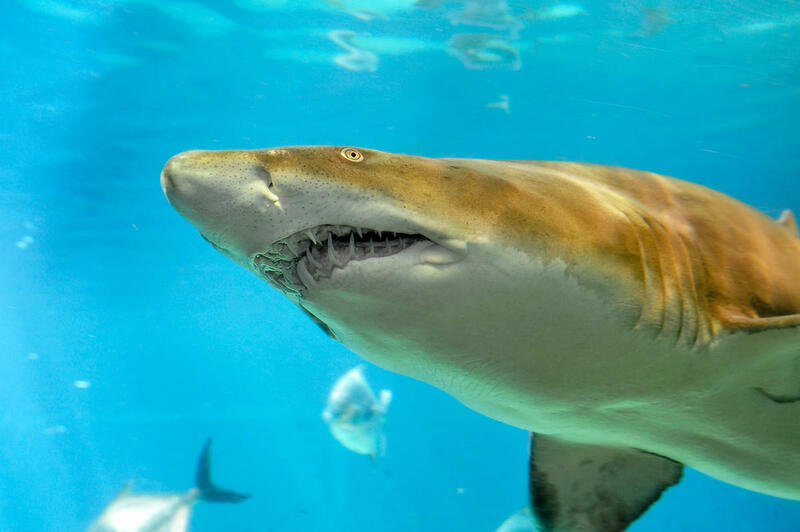 After birth off the southeastern United States (sand tiger sharks give birth to live young as opposed to laying eggs), the juvenile sharks migrate north in the spring and spend the summer in New York waters before returning south in the fall. Only a handful of sand tiger shark nursery grounds have been identified, one of which is in the waters of Massachusetts. The discovery was made by researchers who have collected a wealth of information on sharks in local waters over the past four years through the use of acoustic tags, devices that enable scientists to remotely track marine animals as the animals move about. There are still many unknowns about the nursery. Scientists are not sure how much of the bay is used by these sharks, the number of young sharks in the bay each summer, or what the sharks are eating.